This week’s blog posts are all about EASTER. Every family has their own tradition for this holiday, for my own family our tradition is always about gathering for a family meal followed by a fun-filled egg hunt for the kids. Most of the grandkids in the family are teenagers now so the egg hunt has to be a little more challenging with more at stake…(what do teenagers love more than candy?? MONEY!) We divide the grand-kids up into boys vs girls and each group works to find a given number of colored eggs and the beloved GOLDEN EGG. They all know the golden egg contains….the cash-o-la! But anywho, back to dinner. So far I’ve lucked out on having to actually put on the grand Easter dinner, that’s still my mom’s territory. I’m usually in charge of side dishes or desserts, easy peasy. This week I’ll share with a few options you could totally whip up and take to your own dinner, if that’s your thing. Today is all about the egg. Who loves some deviled eggs?? 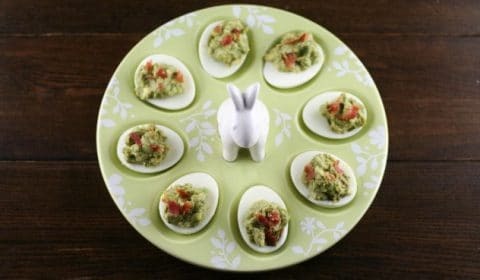 Over the years I’ve come to learn there are two distinct deviled egg eaters; the sweet deviled egg group and the saltier deviled egg group. I come from the saltier deviled egg group. I had never even heard of adding sugar to your deviled egg mixture until several years ago I was at a picnic and was totally taken by surprise when I bit into my deviled egg. If that’s your taste then please, feel free to enjoy. However, I’ll pass and go my route. 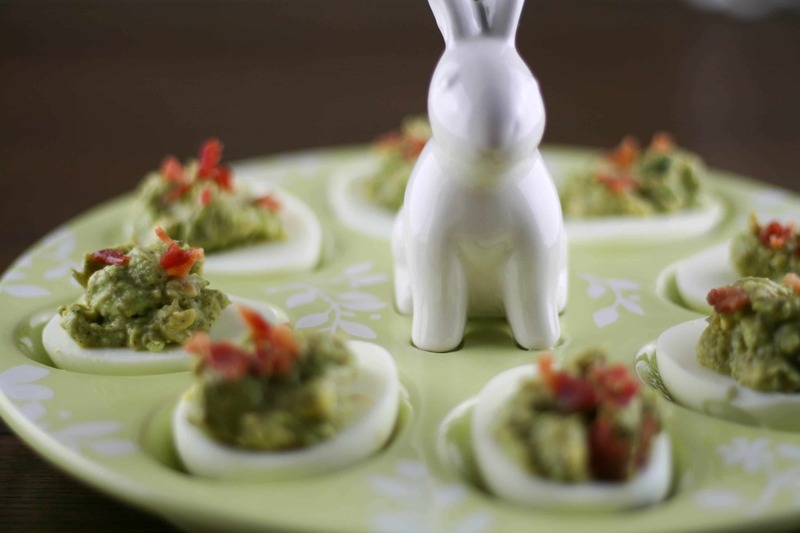 Now, if you prefer your deviled eggs more salty/tart (think mustard) and NOT sweet, then this recipe is for you. 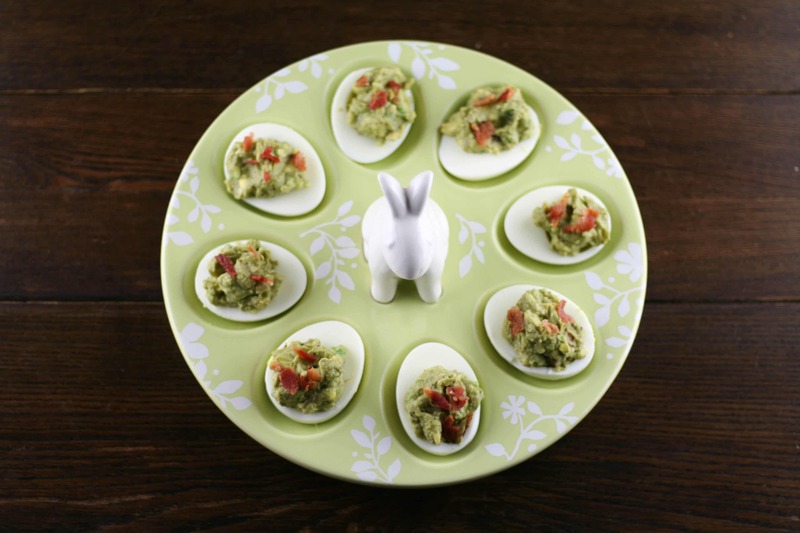 What could possibly make your deviled eggs even better? AVOCADOS! Bring on this super healthy fat! 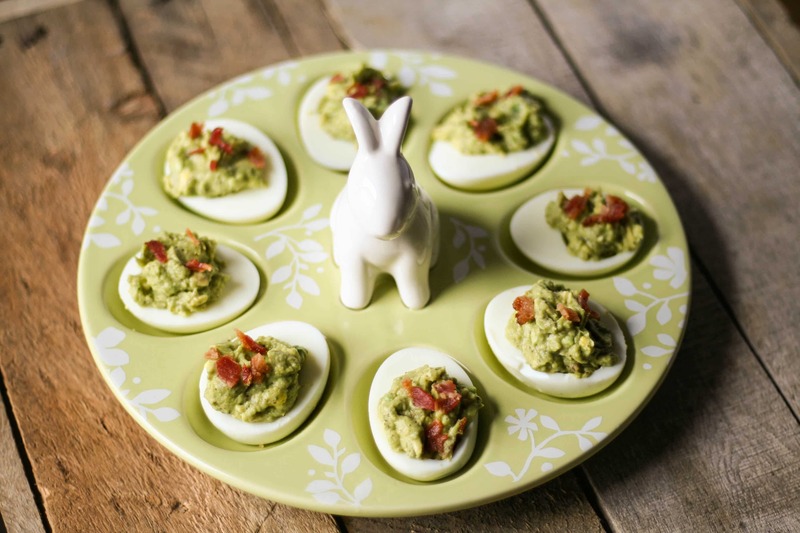 Reduce down your yolks, add in avocado and a little bacon and you have a glorious version of deviled eggs that will wow your family! And, these are super simple to make. One note, as with any avocado mix, they won’t stay pretty for long. I would advise against making these the night before. You can mix up the mixture the night before, just refrigerate overnight in a bowl and place plastic wrap on top of the mixture. Then assemble the eggs shortly before serving the day of.